I like Small world, Because it enables to realize process efficiencies in many areas of the plan, design, build, operate and maintain life-cycle for your network assets.it is support for structures and all dimensions of a network.I like the stability and speed compared to other platforms like ArcGis. Smallworld is harder to learn when compare to other platforms, it is cost expensive to support, and having more tools, its difficulty to find for customization. It could be improved is the ease with which it can be integrated to different tool. Smallworld can provide a number of data models and functionality sets that may meet your needs without customization.it might be the best on the market. They do need to improve the graphics. I involved in a Electrical project to use Smallworld, Its a good experience with this software. Smallworld can handle large amounts of data much better than what I have seem competing software do. It provides a stable working environment where users can easily edit data. From a large utility perspective, I'm not sure if there is another product that can match this in terms of stability and ease of use. This tool has a proprietary database that does make it difficult to share data with other software. White space management is also an issue. Most tools around now offer robust white space management tools in terms of dynamic annotation or labeling while Smallworld does not. I'm certain something can be customized to do this but I feel this should be an item that comes out of the box ready to go. I would recommend contacting other companies utilizing Smallworld to see what other complimentary software they use. While it can do almost anything quite often it's not cost effective to have it do so. Most companies that I am aware of have some type of other additional software to effectively solve their business problems. Using this product to manage our asset location has been extremely helpful. In combination with our asset management software we're able to track down the location of our assets and build viable inspection programs around them. It also often serves as the building blocks for some of our major business cases; we're able to capture the right data, build a plan, and derive the ultimate value that will result. "GIS Smallworld is an effective GIS Asset Management Repository Database used at my company." We have been using this tool as a design and asset repository database for our Distribution system for many years. I work in the Transmission Engineering and now Asset Management department in which GIS SmallWorld has not been actively used as a design tool or asset repository and I find it embarrassing that we have such detailed information on all of our Distribution assets including when each individual structure was installed and last replaced but cannot come near to as accurate of information for the Transmission system which is only a fraction of its size compared to the Distribution. We have spent the last 5 years trying to update this asset data on the Transmission side and are still struggling to report information as accurately as we can on the Distribution side of the company. Even after we completed our latest upgrade to GIS Smallworld i think that the program lacks sufficient design capabilities to be used as a full design tool for Sub-T and Transmission projects. For most Distribution projects it suffices since it is more of a planning tool and capable of ordering material and documenting the work for the asset repository purposes however I don't think it provides sufficient capabilities to be a design tool for the higher voltages which require plan & profile drawings as well as other more detailed design information which is a large influece why it was never used on this side of the business because it required duplication and additional design work to properly record in GIS Smallworld. As previously stated i think this is a great asset repository database but not capable of being a detailed design tool. As a company we have realized the benefit this offers as an asset repository database and even though it requires additional effort to properly record project details into the system the benefits of accurately recording this data outweighs the extra cost and effort to document it within this system and others. The hope is that this system can be updated to the point that we can start to eliminate some of the other places where asset data is recorded but don't ever expect this to become the primary design tool for Transmission. Being able to accurately report asset details to regulatory agencies is essential. "GE Smallworld - GIS ripe for customization"
Ease of customization - you can add/modify functionality while the GIS is running, no restarting required in most situations. Slight modifications or completely new functionality can be coded and debugged quickly. Module Code organization - all code is organized into modules that can be individually added to any GIS session. Object Oriented code - everything is an object that can be passed as a function argument, even other functions. DB restructure testing - using a long-transaction alternative you can test new DB table definitions against the entire DB without disturbing other users/developers. You rarely have to fight code dependencies so developers spend their time developing logic not fighting incompatible libraries. Setting up a new environment can be tricky, especially if a server farm is used. Since the core GE Smallworld software can literally do anything your key question is what do you want? GE Smallworld can provide a number of datamodels and functionality sets that may meet your needs without customization - review them before deciding to develop a completely custom implementation. I have written code to do GIS data conflation, custom data extractions, support business processes and enable complex report generation. It is a GIS system that is windows based. The support seems to be pretty good. I dislike the non proportional icons. It looks like a childs coloring book. Evaluate the competition. 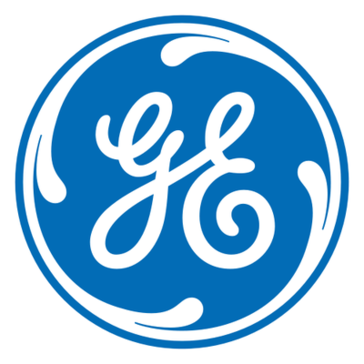 GE might be the best on the market. They do need to improve the graphics. We are using Smallworld as a design tool for distribution and gas relocations. In ddition Smallworld is tied to our asset repository. The benefit is, it is a graphical tool that also has an asset management component. The tool s not a standalone design software package. Internral Worlds - This allows tracing and connectivity to exist inside building details and operate as if it was in the "normal" GIS. ESRI can NOT do this. This is valuable for Switch Enclosures, Building routing like vertical details, splice enclosures. Manifolds - This is the Smallworld topology engine that is used for tracing. 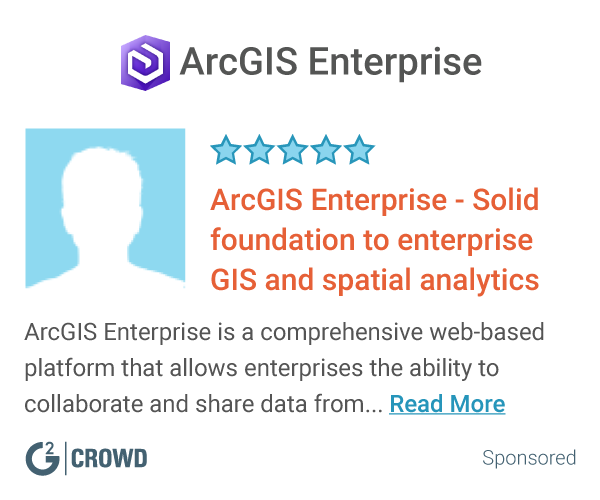 Once thing esri users know is rebuilding a Geographic network. This is never needed in Smallword as it is internally handled. Versioning - Since Smallworld is Object Oriented there is no need for all the versioning overhead in other GIS systems. ESRI uses Add and Delete tables that have to get processed all the time to correctly display the data. Multiple Geomertries - In Smallworld you can have a Substation for example shown as a point and a polygon. ESRI can not do this. There is a perception that the development language is a problem. It was a non-standard proprietary system, but that is changing to Java. It is more difficult to customize, more the reason to stay OOTB. I really did not dislike the product. Determine the try business needs and what level of customization you are really going to do. If the key items I pointed out like, Internal Worlds, better versioning, better network topology and multiple geometery representation then this is the solution. The customization issue is not really an issue if you are not going to do too much or have a quality staff. I was involved in a project to use Smallworld as a Hybrid Coax-Fiber network inventory tool. At the time and it is depending on the needs still the best tool on the market for LARGE fiber optic cable management tools. This allowed the information to be stored on an enterprise level and not in individual pockets. The stability and speed compared to other platforms. Also, if you have a magik guru, very customizable. Cost. Expensive to support. We needed a dedicated DBA for this task. A little more complex than other platforms. Harder to learn. Consider cost for internal and provider support / licensing. Telecommunications asset management. Great path engineering capabilities. GE Smallworld is a fantastic product suite for a mid to large size electric or gas utility. Please consider implementing the office products as close to out of the box as possible as this will save you a lot of time, money and headaches when doing upgrades, implementing interfaces, etc. Electric and Gas distribution GIS (planning, design, construction, maintenance). "Good tool for PNI with some areas of improvements"
The managemenent of the physical network inventory and geo-coding. The internal netwrok inventory can also be created with ease. Bulk data loading was the biggest problem and made it not very useful for the customer. Another thing that could be improved is the ease with which it can be integrated to different tool. "Limited Use Case - Mostly Placing Cables and Splices"
Smallworld was very detailed and allowed the company to tailor the product toward what it deemed important. The interface and UX of the program greatly needs improvement. Since the feature set is so large, the program can be intimidating for new users and tools can be difficult to find. Be prepared for a relatively steep learning curve. However the program does end up meeting the requirements for most usage cases that its designed for. Mapping fiber plant, Splicing fiber plant. Tracking Circuits and logical network interfaces and physical network interfaces. Interface, support for structures, conduits and all dimensions of a network. Lack of 3d imagery and tighter integration with maps. Version management has issues with large user base, data sets. "Its not viewer friendly and the program "Lags" since there is a lot of information within the progra"
It does have information on structures etc. when you select to view information for a specific attribute. I wish it were simplier. THere are too many tabs/selections that in my opinion doesn't need to be applied. I also wish the search menu was more user friendly. I used it to view the overall picture of my design constraints; e.g. transmission lines, distribution lines etc.. all in one view. * We monitor all GE Smallworld reviews to prevent fraudulent reviews and keep review quality high. We do not post reviews by company employees or direct competitors. Validated reviews require the user to submit a screenshot of the product containing their user ID, in order to verify a user is an actual user of the product. Hi there! Are you looking to implement a solution like GE Smallworld?